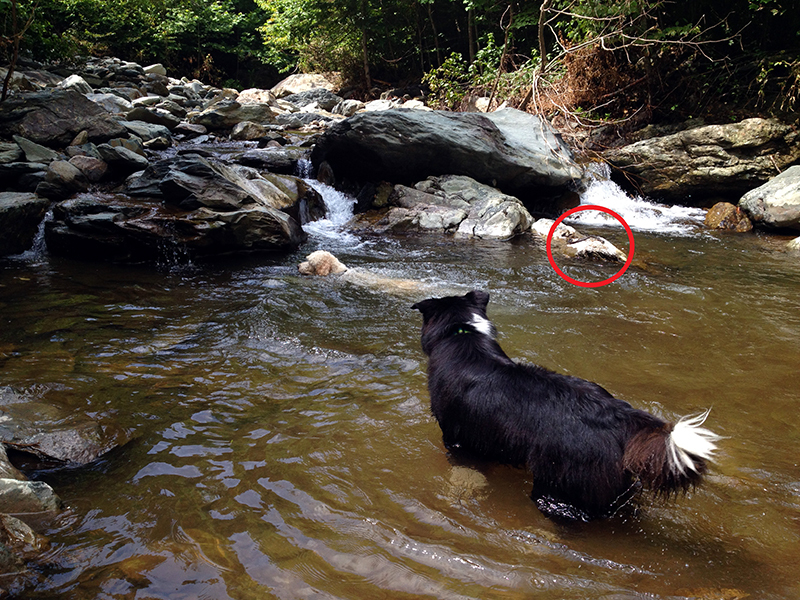 When we called the dogs back and went to investigate, the snake slipped into the water and swam away to rest in some brush downstream. I think it was a northern watersnake (Nerodia sipedon). This is neat—it’s name is derived from the Greek neros meaning “flowing” or “liquid” and dia meaning “through.” Sipedon is derived from the Greek word sepedon which means “a serpent whose bite causes mortification.” Apparently these buggers have a mean bite and will use it if provoked. 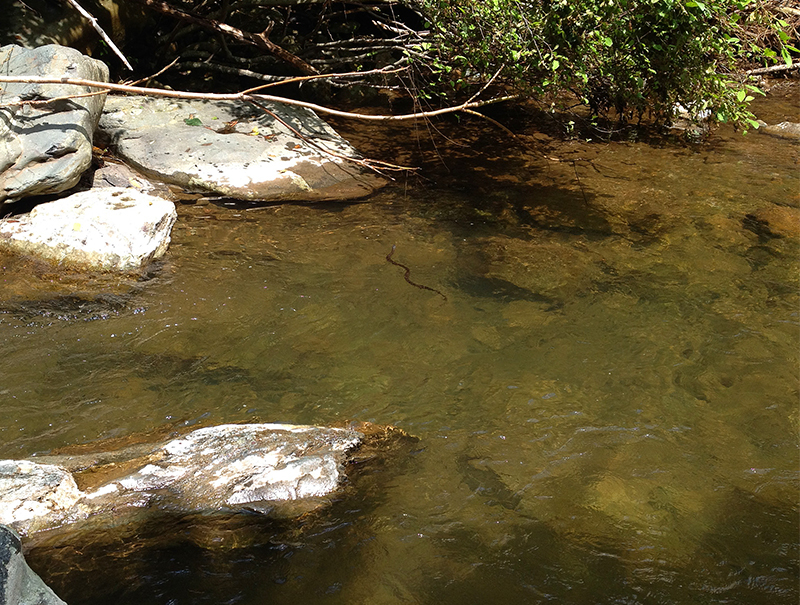 In fact, my Guide to the Snakes of Virginia lists the northern watersnake’s name translation as “nasty bite water snake.” I am glad we called the dogs away before they found it and even more glad to not be in the water when the snake swam by! I was also happy it wasn’t one of the two poisonous snakes that live in my backyard mountains: the copperhead and the timber rattlesnake, both of which I have encountered while hiking these trails—sometimes by stepping over them whilst hiking! You are currently reading Swimming with snakes at Bonafide Farm.